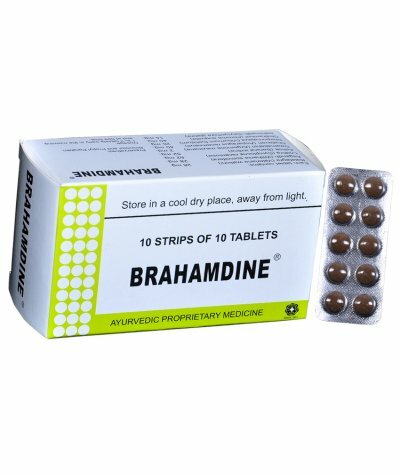 J & J Dechane Brahamdine TabletsDescription:A combination of ayurvedic drugs well known for centuries for their tonic action on the uterus.Composition:Each uncoated tablets contains:Balatagr..
ALARSIN ALOES COMPOUNDDescriptionFemale Infertility - Primary or SecondarySub fertilityMenstrual DisordersPositive Advantages of Aloes Compound:Stimulates and Establishes: normal ovulatory menstrual c..
DESCRIPTIONALARSIN MYRON TABLETOral Drug for LEUCORRHOEA & Constant Back-acheRestorative after DeliveryMakes the patient Fresh, Alert and Energetic !Positive Advantages of Myron: Myron - form..
BACFO MENSOCARE Tablets Description :- MENSOCARE MENSOCARE is a research based product containing herbal ingredients that relieves multiple symptoms before and during menstruation. 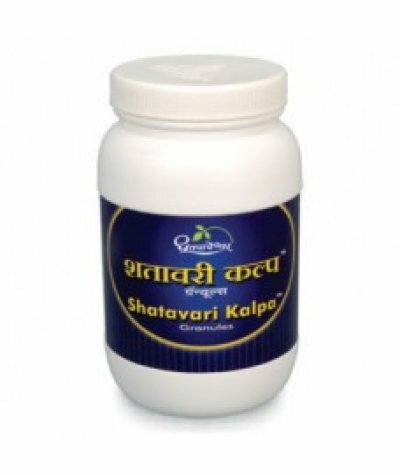 MENSOCARE prevent..
Dhootapapeshwar Shatavari Kalpa GranulesThe nutrient product useful for complete family specially for women, having all the benefits of Shatavari. 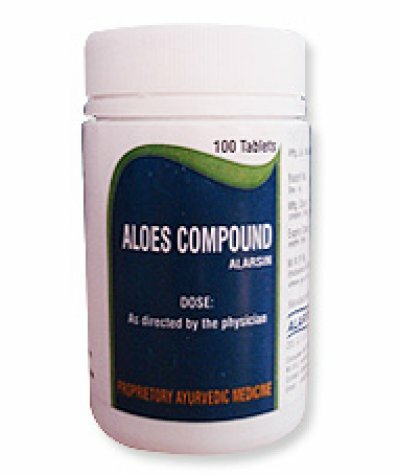 Enhances immunity & general health by nourishing .. 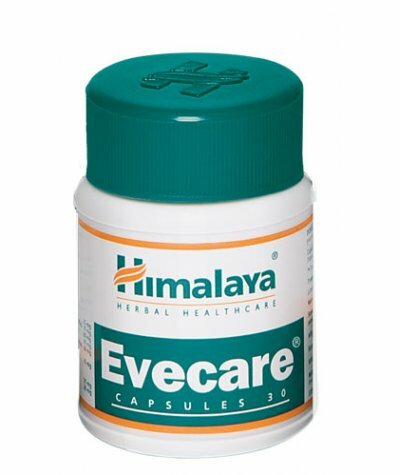 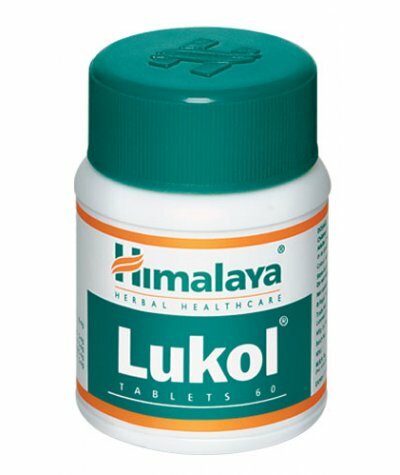 Ensures complete uterine careAction:Regularizes menstrual cycle: Evecare repairs the endometrium (inner membrane of the uterus), regularizes endogenous hormonal secretion, corrects the cyclical rhythm..
Himalaya Lukol TabletsInstills Confidence in HerAction:Stimulates the endometrium: Lukol stimulates the endometrium (inner membrane of the uterus), normalizes the tone of uterine musculature and impro..
Quells infections, relieves symptoms.Action:Treats vaginitis and cervicitis: The antimicrobial, antibacterial and antifungal properties of V-Gel effectively combat the organisms responsible for vagini..
Nagarjuna (Kerela) Leucorid Tablet ..
Suvarn Kelp is based upon the ancient Ayurvedic formulation for women, known as Supari Pak. 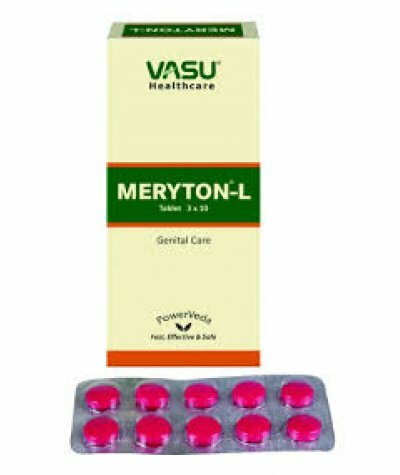 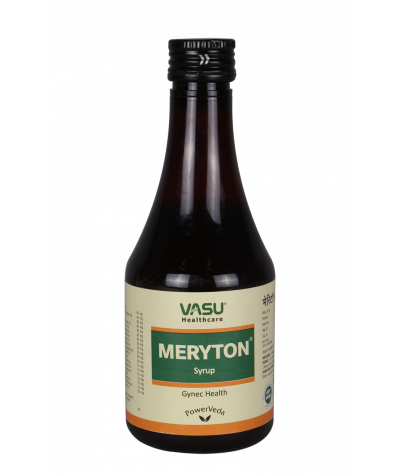 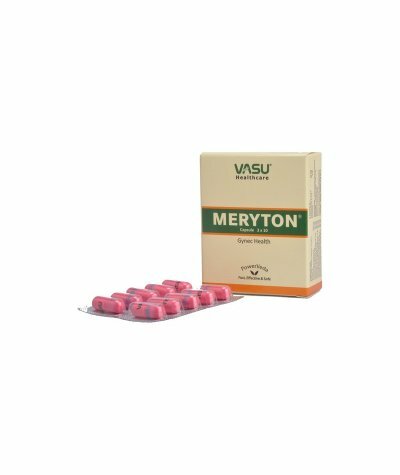 A versatile tonic, Suvarn Kalp, prevents gynecological disorders, corrects hormonal imbalance, increases lac..
Vasu Meryton CapsuleUterine antispasmodic and analgesic Checks vaginal secretions Controls excessive uterine bleeding Regulates menstrual cycle Uterine Tonic Enhances chances of conception Highest co..
Vasu Meryton-L TabletIngredients:Shatavari, Lodhra, Ashwagandha, Guduchi, Gokshur, Amalaki, Vat, Daruharidra, Sariva, Ashwattha, Mochras, Godanti Bhasma, Kukkutandtwak Bhasma and Shudd Sphatika.Indica..
Meryton syrup contains Ashoka, Lodhara Dashmool, Shatavari Gokshur, and Guduchi. 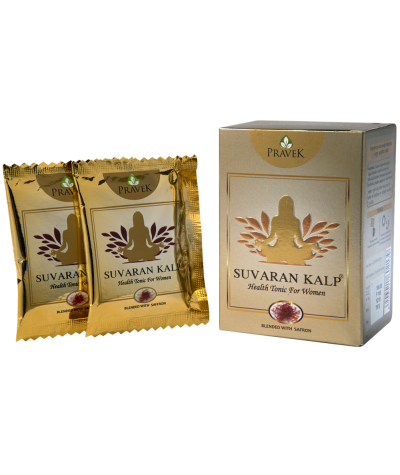 These provide Phytoestrogens & nutrients, that improve tone and overall health of uterus. 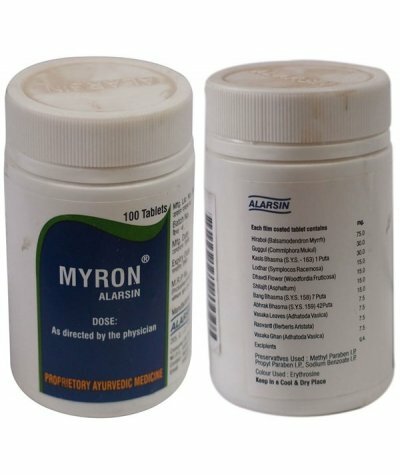 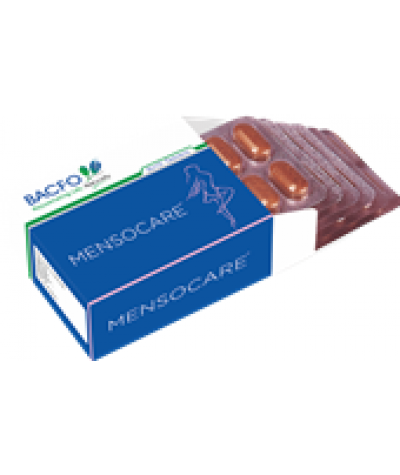 Indications Uterine tonic in..